Hey guys! Happy Thursday to ya'! 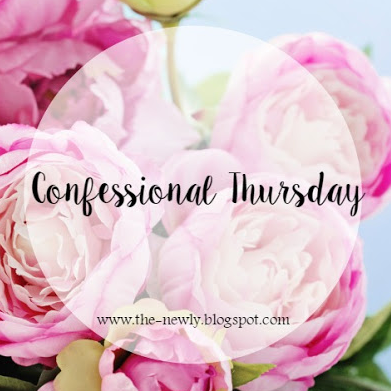 Today I'm linking up with Jessica for the awesome and hilarious Confessional Thursday! ...I cannot...repeat CANNOT clean out my hairbrush. It makes me gag and I have no idea as to why. Honestly, I'd rather just throw my brush away and buy a new cheap one...I'm not kidding. I can't even be in the room to hear the hair being pulled out and if I see it, it totally grosses me out. For real. It's frightening to me and it's awful to see and hear. Should I be on one of those TLC shows or something? Luckily my dear husband knows this and does it for me. ...I despise super hot weather. I'd rather have a cloudy, heck, even rainy - 70 degree day than a hot and muggy 90 degree day any day. ...when we go grocery shopping I usually buy myself some sort of chocolate. I buckle the kids in the car, pack up the groceries, then eat my little treat as fast as possible outside and behind the back of the car so the kids can't see what's going down. ...when I meet somebody new it seems as though they only hear, "MariA" I usually don't correct people because I figure, "Eh, close enough." I always miss the same single armpit hair when shaving my armpits... It's under my right armpit and it's pretty gross. I just took a shower AND shaved. Oh man. That was fun and I feel so much better. hahaha!!!!! The armpit hair, YES!!!!!! Mine is on the right side too, what is up with that??? I loved these confessions!!! Too funny about eating your chocolate behind the car-I feel you mama! Sometimes we just don't want to share! And seriously, why is it that you always miss the same hairs shaving?! I have a spot like this behind my left knee. Every now and then I'll realize that I have hairs there that are like an inch long even though I shave every single day! Haha. That's so funny about the weather because I am the exact same way! That's why I don't mind living in the mid west again. In NC the summers are so hot that I never enjoy being outside. 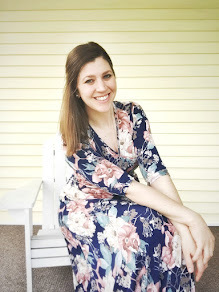 In Ohio we have rough winters, but the Spring, Summer and Fal are typically (depending on the year) pretty awesome! Also, good for you for getting that chocolate fix in! I have a rogue armpit hair too!!!! WHAT?! Oh my goodness, I do the same thing while I'm shaving! Every single time! It happens on one of my knees, too. As for the chocolate, I'm with you. 100% with you! Bahahhaha this had me laughing out loud girl!! Want to know something funny? I LOVE taking the hair out of the hairbrush, like it excites me! I love seeing how much hair I can pull out, LOL. And I am so with you on the too hot weather, nope don't want it!